Material: Lace: 45% polyamide, 35% cotton, 20% viscose. Shell fabric: 100% polyester. Lining: 100% polyester. 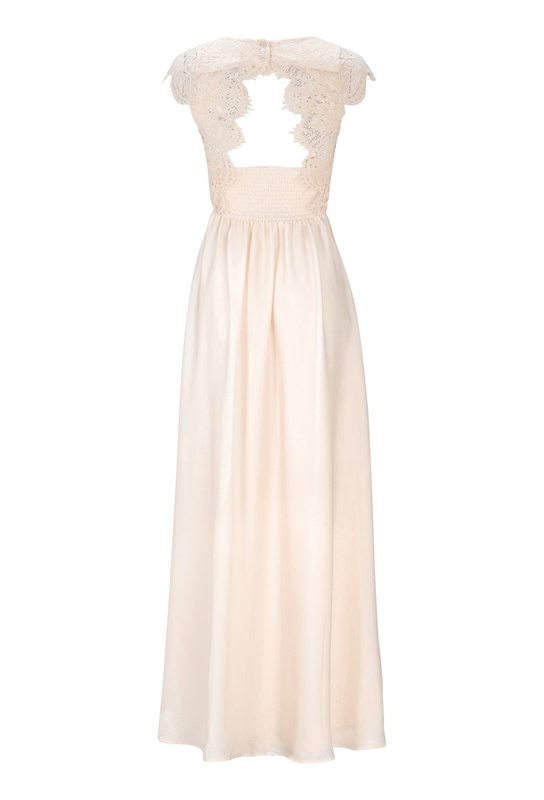 Wonderful long dress with lace at the top from Chiara Forthi. 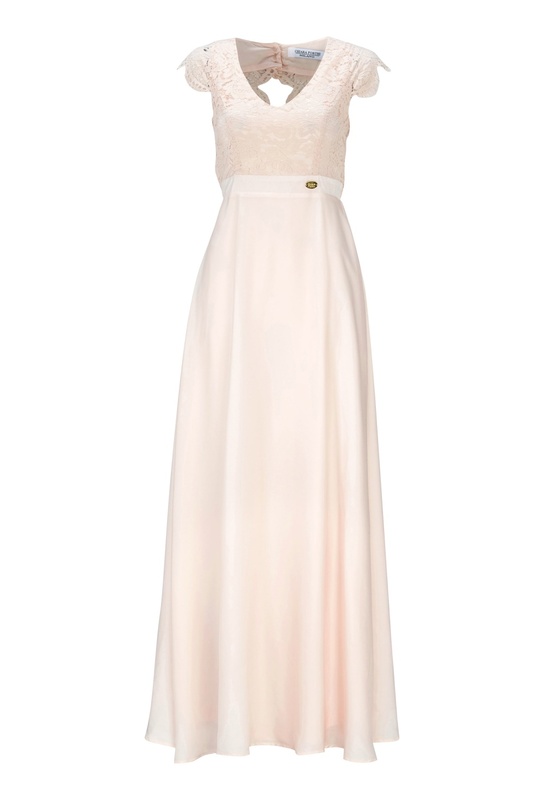 The dress has a deep v-neck at the front and a glamorous open back. This is the ultimate party dress that has a fantastic fit and falls beautifully.